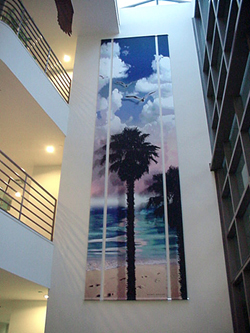 Go Beyond the Ordinary with large format digital printing! There are many materials and display methods to choose from. Let Sign Depot help you create a "one-of-a-kind" image for display in your lobby or reception area! Contact one of our visual communications consultants for help today.